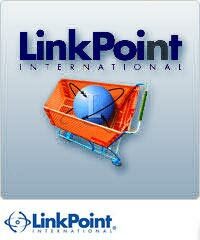 Get all the speed, security and fraud protection you expect from LinkPoint, with easy Web integration. The LinkPoint Gateway includes strong fraud prevention and a virtual terminal for manually processing telephone, e-mail or even face-to-face orders. LinkPoint also offers a full suite of e-commerce solutionsthat let merchant Web developers use the technology they're comfortable with. Co-branding Our co-branding services allow you to sell LinkPoint Central as your own product. Paint it with your own look and feel. Give it your own name. Choose the features you wish to include. Fraud protection Provides crucial preventive measures that allow merchants to block specific credit card numbers, Internet protocol (IP) or Class C addresses, customer names, or domain names. Address Verification Service (AVS) Helps merchants combat fraud by comparing the consumer's billing address with the address on file with the card-issuing bank. If the two match, merchants know there is a lower chance of fraud. Online Reports and Account Management Provides real-time management reports via the merchant's Web browser, including bar and pie charts with drill-down action to instantly see the data under the picture. Customized look and feel Merchants can choose from several graphical themes--or replace the graphics and colors with their own logos and corporate colors. Custom POS terminals Merchants can choose which fields to display on their virtual POS terminal page. They can even set some fields as required (or optional) and assign default values. Product catalog Merchants can incorporate their own product catalog, with up to 200 items. This allows faster, more consistent order entry with reduced errors. Plus merchants can track product sales using the Item Sales Statistics report. Multi-store reports Merchants can view consolidated transaction reports for multiple stores with multiple users. Transaction reports show store number and user ID for each transaction. Multiple users with access controls Merchants can have multiple users, each with their own User ID and password. Each user has specific, merchant-defined permissions within the system. Transaction reports show user ID for easy auditing and tracking.